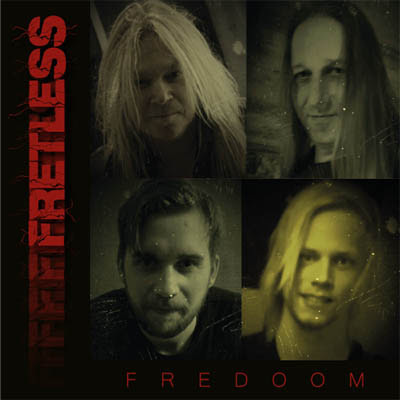 The first single of the Swedish Hardrock/Metal Band FRETLESS - "Freedom" was released on Soundcloud. The song will be on the upcoming album Damnation. 2009 FRETLESS started in Gothenburg, Sweden by Patte Carlsson who is now the only original member left in the band. Right from the start there was a great response when the band played live and they created quite a buzz on the local circuit. In 2010 they started recording their album Local Heroes, which they mastered at the well known studio, Bohus Sound, near their native Gothenburg. Many labels showed an interest in the album, but they decided to work together with E.L.T. Records in Birmingham (UK). In December 2010 the album Local Heroes was released digitally and can now be found on all major download sites. In January 2011 the physical CD was released. After the release party at Valand in Gothenburg on January 28'th, many radio stations worldwide picked up and played the album. The track 'Rock You' was used on the soundtrack for the Swedish film The Jaukka Brothers, which was released in 2010 by Doppelganger Film in Stockholm. 2012 FRETLESS did an US tour in Texas, Kansas and Oklahoma. Today FRETLESS has 4 members. The line up today is stronger than ever before and the guys really rocks!